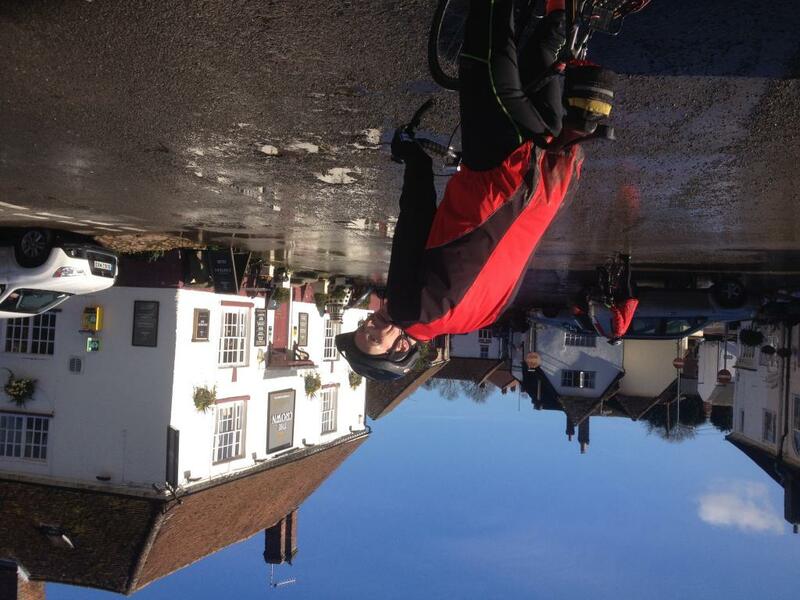 A hilly 80km ride to Hungerford via Lambourn, Aldbourne, Ramsbury and Froxfield. After a short lunch stop in Hungerford, we will return to Wantage via Kintbury, Bagnor, Chieveley, Peasemore and finally Chain Hill. Hopefully there will be plenty of time for a coffee in Wantage Costa at the end. Pace will be to suit the group, but will probably be at the lower end of 3* pace. I may shorten the route a little on the day depending upon weather conditions. Lights may be required for the return journey. Amazingly, given the recent weather, the day's forecast was set bright, warmish, and not too windy! So, it was a tad surprising that there were only 5 of us raring to go from the marketplace at 9:30. Hopefully a relaxing day in store for the rest of you and not flood or storm induced. We set off in the sunshine towards the Letcombes. A moment of concern as a guy passed us with a canoe (on top of a car) but of course it wasn't long before we encountered the first little bit of flooding which we sailed through (but not literally). Hackpen Hill soon saw us overheating and then it was down to Lambourn where the road was a bit wetter again. Nothing too deep and the road surface was fine, although Kath got an unexpected wash from a 'friendly' passing 4x4! Another climb and descent to Aldbourne nearly saw our disobedient leader exterminated but he survived to 'lead' us up Spring Hill. Matching spring sunshine and snowdrops abounding made the ascent bearable! Refuelled with lunch at Azuza in Hungerford, we made our way through Kintbury and the back roads, over the canal, to the never-seen-before Hampstead Marshall falls! This was our third and final encounter with the recent record rainfalls. 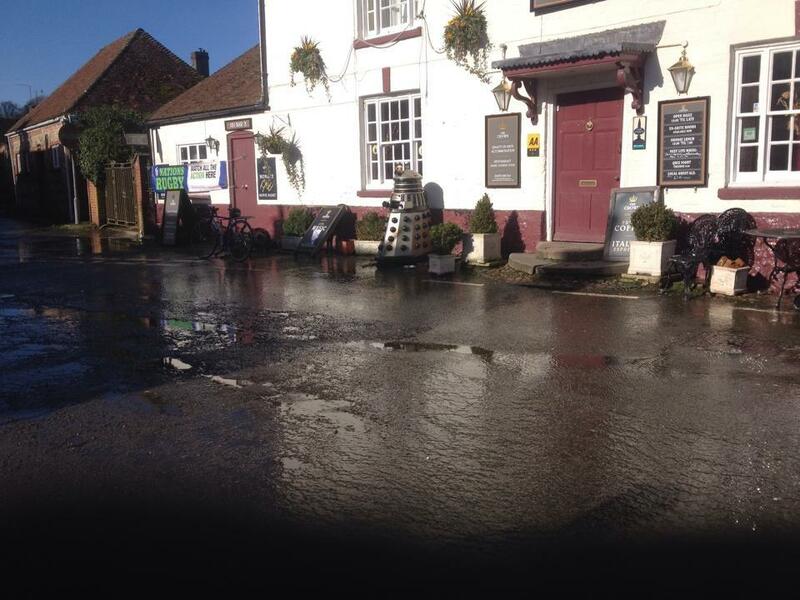 The water (not particularly deep) had caused the road to break up on both sides to be impassable by car. By bike, ok with care, without - a wonky handlebar - but no permanent damage. After that, plain sailing - the snowdrop-laden miles passed by in glorious sunshine culminating in crazy-grinned descents of Chain Hill and frothy-coffee chatter in Costa. Fab sun, fab day, cheers guys. P.s. Not sure why Andy's upside down below - he wasn't on the upload?